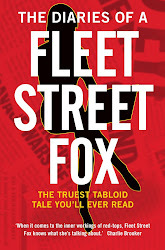 fleet street fox: What happens if you write online about Nigel Farage and UKIP? What happens if you write online about Nigel Farage and UKIP? Well, they might send the police round a coincidentally amazing 90 minutes later. Today's Daily Mirror column is about how UKIP called the cops on a humble tweeter and you can read it here. Rest easy in your beds, folks.